Welcome to Week 11: 3D Printing. The primary goal of our OER is to introduce you to the topic of 3D printing and how it is has the potential to shape K-12 education. However, we also felt it pertinent to address the issues and challenges surrounding 3D printing in higher education, as well as how it is impacting industries, so this will be the secondary focus of our OER. Through the course of this week we will be asking you to participate in 2 activities and one short survey. 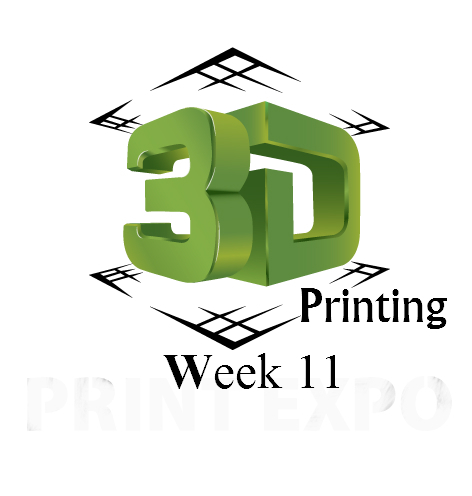 These activities are designed to have you interact with the creation of 3D objects and also to discuss the impacts of 3D printing as prompted by the case studies we will provide. 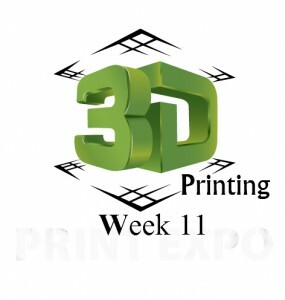 Please click here: http://etec522-3dprinting.weebly.com/to join us in our OER for this week! We look forward to embarking on this week-long journey with you all! Shane T., Kirsten N., Tiffany T., Danielle V. and Yik Wah P.
Excellent job W10 OER! The website contains an ideal amount of background information that creates a strong impetus for critical thought. Not only was the organization and layout of content simple and inviting to explore, well-devised questions also encouraged in-depth analysis. It was easy to orientate myself throughout most sections because instructions for interacting with specific content were clear. In particular, I appreciate the Product Archive for its annotations and video clips, which helped me quickly select an analytic tool of interest for Activity #2. A minor suggestion would be to embed Activity #3 in its own section. It was easy to overlook it and unclear how it differs from Activity #2. Thank you for enabling easy navigation and encouraging focused analysis! I personally like Edomdo. I found the activities very useful and informative. I would suggest using more tools available on Edmodo some of which are free and available on Edmodo store. Using Socrative was a great idea. Maybe it would be a good idea to divide students into smaller groups with different tasks and asking students to evaluate different groups activities (peer-to-peer evaluation) exactly how our course is being design. Our aim is to immerse you and your team members from Assignment 2 in a cloud environment to solve a problem. Please join us at http://etec522cloudlearning.weebly.com/ to find out more. Click on the start button to view an introductory video that will explain the site and activities for the week. Please do not hesitate to ask questions as we go along. We hope you enjoy Week 8! *click on chart to expand. 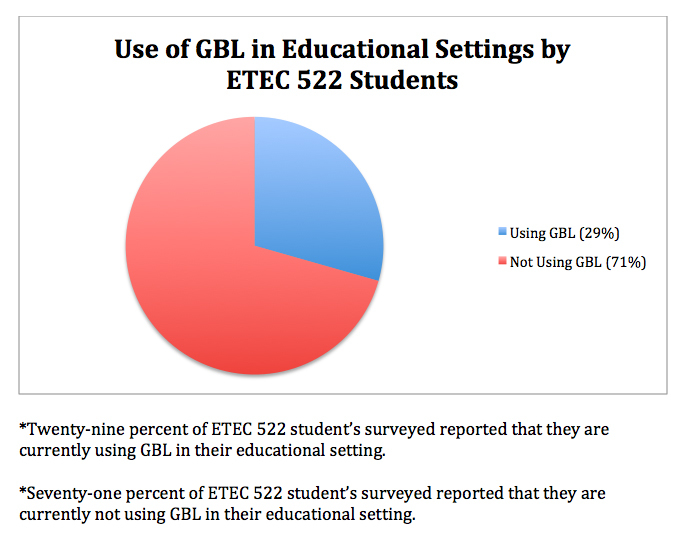 In the Feedback survey, ETEC 522 students had the opportunity to express what areas of GBL interested them. The following list is a result of everyone’s ideas and we hope these concepts may spark an idea of how you can integrate GBL into your educational setting. 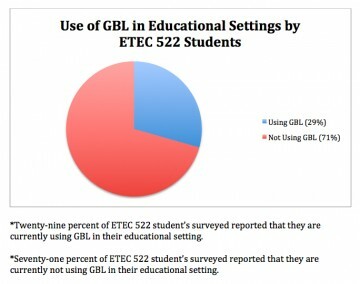 Inclusive and collaborative GBL use for students. We would also like to thank everyone who took the time to give feedback on the survey page. The comments were very detailed with constructive ideas on how to make our Open-Educational-Resource better. We appreciate everyone’s thoughts and hope the Mobile Game-Based-Learning week brought a better understanding to the material.